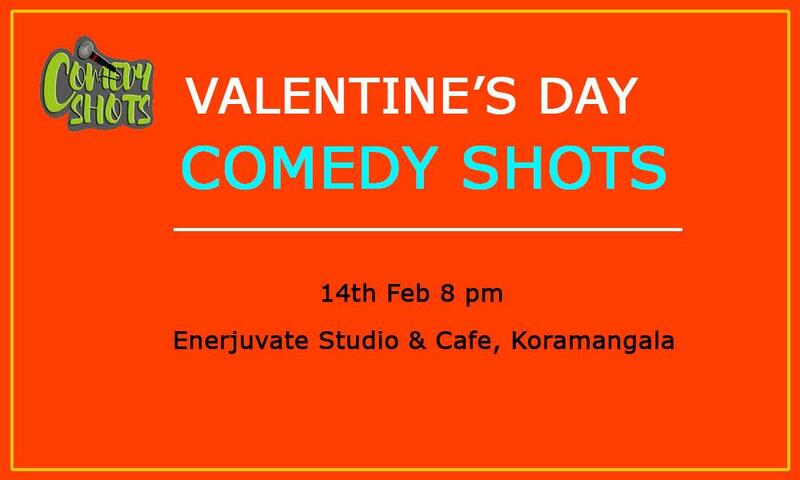 The Enerjuvate Studio & Cafe, Koramangala organizes the fun event Valentine’s day Comedy Shots on this Valentine's day. The Valentine’s Day comedy shot is just the right comedy show you need before you head out. This event is organized by Enerjuvate Studio & Cafe, Koramangala and listen to Hilarious stories, Weird observation and abnormal insights from these Bangalore regulars. Block your tickets now for an evening of fun. Plan your evening with your loved ones.